April 8, 1990. The two-hour pilot of Twin Peaks premieres. April 8, 2017. Forty-five days until the first new Twin Peaks for twenty-five years and we have little-to-no idea what to expect from Twin Peaks: The Return. Twin Peaks is known for being a mystery, a puzzle. Most viewers interacted with it on a very basic level – they wanted to find out who killed Laura Palmer. That was the driving question of the series, it seemed. That was the hook. The answer to that question did not resolve the puzzle box nature of the show, though. From a purely plot perspective, the simple answer is revealed about halfway through the show’s original run. But the answer to “Who Killed Laura Palmer” (emblazoned on t-shirts across the world) spawned other questions about the nature of man and the nature of evil. For a show that took the form of a small-town mystery soap opera, it was determined to look beyond the typical concerns of most television dramas. And it presaged a new era of TV that was entirely different to the landscape of cop/doctor/lawyer shows from the decades prior. In the final episode of the original series, a woman who looked almost exactly like Laura Palmer told Agent Dale Cooper that she would see him again in twenty-five years. That time is about to arrive. Twin Peaks ran for thirty episodes from April 1990 to June 1991. Each episode of the series takes place on a single day and there is only one leap of time (three days) in the whole run of the show. For a show that lasted just over a year, in the town itself, only a month passes. In these days of streaming television and binge-watching, you can watch those episodes in under 24-hours, if you have the constitution for it. Or you could easily watch it over a long weekend. You could experience Twin Peaks’ month in three days. 27 years has passed since Twin Peaks premiered. 26 since its final episode aired. 25 since the prequel film Fire Walk With Me was first screened at Cannes. And 25 years have passed for the residents of Twin Peaks. So much happened in their month, imagine what might have happened over a quarter of a century. 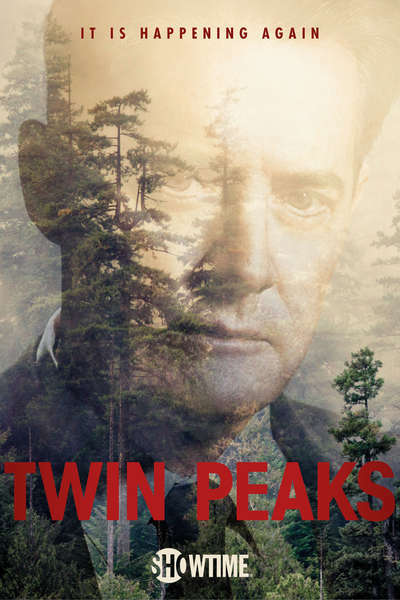 One of the late series’ plots concerned Agent Cooper’s ex-partner, Windom Earle, trying to find his way to the Black Lodge, a place of immense power. This was worlds away from where the series first started, but the show – in retrospect – is designed to get us used to these otherworldly ideas. The pilot ends with Sarah Palmer having a vision. The second episode ends with Cooper’s cryptic dream. It’s no wonder the final episode travels to another place, another world. Windom Earle discovers the only time to get into the Black Lodge is when Jupiter and Saturn align. 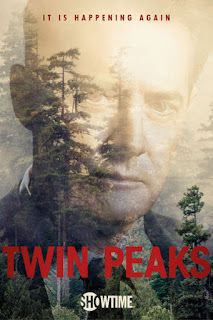 As one denizen of the Black Lodge warns Cooper early in the series, “the magician longs to see, one chance out between two worlds” – and in the final episode, he finds his way in. But when does he find his way out? And how long does he long to see his one chance out? If the magician’s one chance out was the alignment of Jupiter and Saturn twenty-five years ago, is the next conjunction waiting for us now? As we near our next chance to enter Twin Peaks, I ponder the subtitle for the new series: The Return. If the conjunction of two planets is important, perhaps the title is an allusion to Saturn’s Return, which occurs every 25-27 years. Maybe it’s a reference to Les Revenants and the various forms of The Returned which appeared these past few years, many of which were compared to Twin Peaks. Perhaps the Return is the return of those long dead. Will the Return be another soap opera detective mystery with a side of goofball comedy and horror? Will it resemble the tragedy of Fire Walk With Me? Or might it be something else entirely? Perhaps the premiere will be set twenty-five years after the original series. But when and where will it actually take place? How much time will pass as we’re watching? How much time will pass for the residents of Twin Peaks and for Dale Cooper himself? We’ve waited twenty-five years so far. Forty-five days to go. The question of "chance" versus "chants" is unresolved as it is written differently in different places.